this site covers work made between 1994 and 2006. for images of more recent drawings, and hi res images of older work please visit my flickr page. since the eary nineties, i have used the baby symbol in my ongoing visual myth. stylistic elements change, the theme endures. 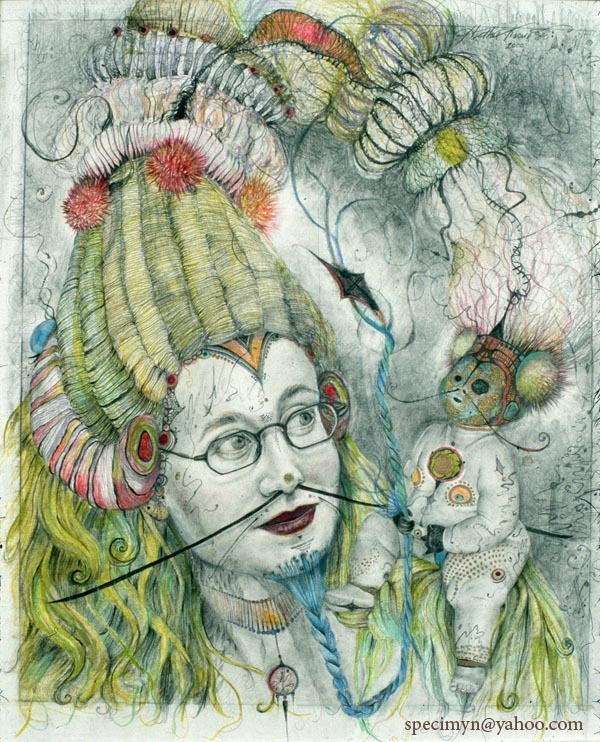 the drawings depict pure states of being, achieved via strange animal / plant / human fusion. see my artist's statement for more. on this site, you'll also find my students' artwork and information about my background as an art educator. to contact heather accurso via e-mail, please use the address displayed on the right.